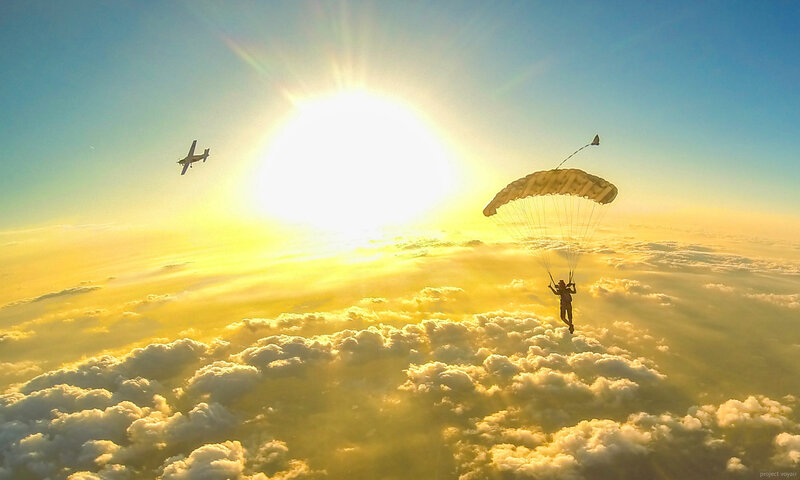 Group organizing is available from 8 am – sunset every weekend for belly flyers. We are working on scheduling freefly organizers as well. Coaching with USPA coaches is also available. We have a large air-conditioned packing area–so important for jumping in this climate!–available to all experienced jumpers. Packers are available for $6 per pack. Please leave any wet or sandy shoes/gear outside to dry, and DO NOT leave any food out on the floor, on top of lockers, or in lockers unless you want to invite an ant invasion. Visiting jumpers are welcome to leave gear in the packing room overnight for the next day at your own risk, but please keep it tidy and as out of the way as possible. Our full-service rigging loft can handle almost any rig repacks and maintenance you need, plus many upgrades and alterations. Please see our Skydive Spaceland Dallas rigging form for pricing and policies, and call us at 903-364-5103 with any questions. Definitely give us a call if you are requesting a rush repack, so we can plan accordingly. To rent our gear, you must be licensed and current in accordance with USPA SIM 5.2 or be under the direct supervision of a Skydive Spaceland STP instructor. Rates: $25 + tax ($26.69) per jump, includes pack job. All rental gear must be packed by our staff packers. Not allowed for: Night jumps, high winds, and if the Skydiver Training Program students need the gear – they have first priority. Gear renters (licensed/pre-licensed solo jumpers, not STP students) are responsible for paying for repairs/maintenance needed as a result of your usage of the gear. This includes cleaning and reserve open/dry/close from getting the reserve container wet on a landing. STP students and pre-licensed solo jumpers are not responsible for repacks after a cutaway, but licensed renters are. Lockers are available for rental for 12 months at a time. Please contact manifestDFW@SkydiveSpaceland.com if you are interested in renting one.